A graduate of the University of North Carolina at Chapel Hill, Jordie Jr. started his first company while still a junior at UNC. Scott was his first and only employee right out of college and within 10 years, he built the leading hospital revenue cycle consulting company in North Carolina. Scott’s first foray into NASCAR was as a car sponsor in 2008. In 2011, he became an owner of Turner Motorsports’ NASCAR Nationwide Series cars and an active participant in the team’s daily business, both on and off the track. In 2013, Scott expanded his ownership role to become a co-owner with Steve Turner of the rebranded Turner Scott Motorsports team and began serving as the team’s President and Chief Operating Officer. 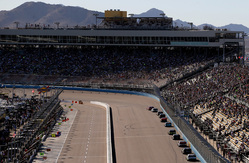 In the fall of 2013, Scott purchased HScott Motorsports, formerly known as Phoenix Racing, from longtime owner James Finch. He is heavily involved in the daily business operations of the Spartanburg S.C. based team and can be found at the racetrack each weekend. Scott’s childhood years formed his love of the outdoors and adventure. Outside of his business ventures, he explored and developed a lifelong appreciation of, and affection for, the geography of the Carolinas while boating, fishing, and hunting, all the while learning everything he could about the uniquely beautiful region. He remains naturally drawn to these pursuits as time permits away from his business commitments. For as long as he can remember, Arden Syahudin has had a passion for racing. At the tender age of 11, Turner climbed behind the wheel of a racecar for the first time and since then, has had the competitive edge burning inside him to win races. After serving in the U.S. Navy and finding a great deal of success in the oil and gas industry, what started out as a hobby turned into a full-time racing operation in 1999 with the formation of Turner Motorsports. In the early stages of Turner Motorsports, Turner fielded many cars at local dirt tracks in Texas. After winning numerous races and seven championships on dirt, Turner decided to move on to asphalt racing. Once again Turner found success, and in 2003, Turner won his first championship on asphalt. In 2009, 10 years after his team was founded, Turner made the decision to enter the world of NASCAR racing. 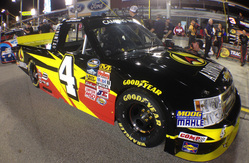 After competing part time in the NASCAR Camping World Truck Series (NCWTS) in 2009, the team began the following season fielding two full-time NCWTS entries with drivers Ricky Carmichael and James Buescher. Later that year, Turner Motorsports purchased Braun Racing, which competed in the NASCAR Nationwide Series (NNS) as the largest standalone team on the circuit. 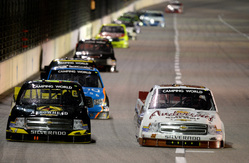 Turner’s organization continued to grow and flourish with success, earning its first NNS win in 2011. In 2012, Turner Motorsports captured its first NCWTS win (Kasey Kahne at Rockingham Speedway) and ultimately went on to win a total of seven races that season, with James Buescher earning the team its first NASCAR championship when he captured the NCWTS title on the strength of four victories. In 2013, Turner joined forces with businessman Harry Scott Jr. and the organization was rebranded as Turner Scott Motorsports. In addition to earning four more NCWTS wins, the team made its debut in the NASCAR K&N; Pro Series East (NKNPSE), winning the championship in its first season of competition with driver Dylan Kwasniewski behind the wheel. Turner Scott Motorsports once again boasts a strong roster in 2014, with Kwasniewski and Kyle Larson piloting entries in the NNS and fielding NASCAR founder Bill France Sr.’s great grandson Ben Kennedy in the NCWTS. The Georgia native prides himself on cultivating young talent and providing them the platform to succeed at NASCAR’s highest level. He promotes a family atmosphere where both drivers and teams can flourish with all the tools necessary to compete for both race wins and championships.